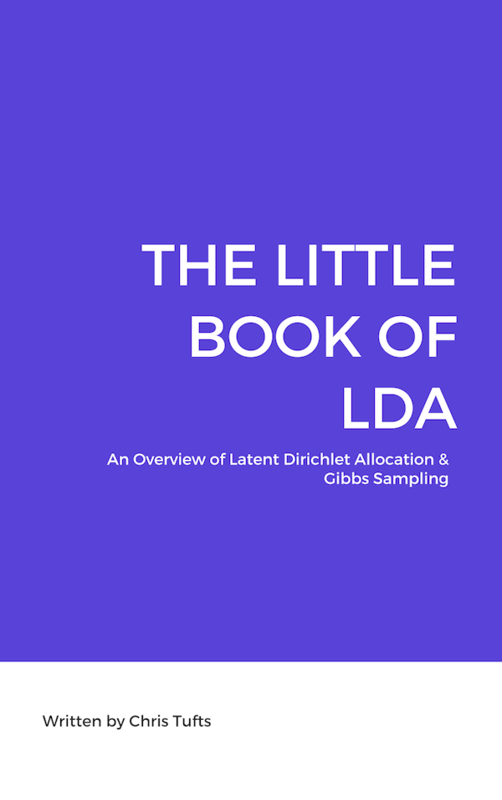 The purpose of this book is to provide a step by step guide to Latent Dirichlet Allocation (LDA) utilizing Gibbs Sampling. It is inspired by Gregor Heinrich’s Parameter Estimation for Text Analysis (Heinrich 2008) which provides a walk through parameter estimation, Gibbs Sampling, and LDA. This book extends many of those subjects and provides small code examples written in R.
This work by Chris Tufts is licensed under a Creative Commons Attribution-NonCommercial-NoDerivatives 4.0 International License. While much of the content of the book is present, there is still rounds of editing and additional information required in each chapter.